There are some awesome features in today’s washing machines. These energy and water saving appliances are enjoyed in many households. Unfortunately, it is sometimes necessary to have repairs made. Finding a trustworthy repair company can sometimes be a challenge. Don’t trust your LG Washer repairs to just any fly-by-night company. The experts at Service Masters Appliance are just a phone call away. LG has a wide range of washer models to choose from and the repair technicians at Service Masters Appliance are well trained to repair them. Our company repair technicians complete the necessary training to handle common repairs associated with the LG washers, and can also handle complex repairs. No need to worry because our repair technicians can fix any leaks, problems with electronic parts, and safety features that have failed. We proudly service the following cities: Sand Canyon, Santa Clarita, Saugus, Newhall Ranch, Stevenson Ranch and surrounding areas; or, any of the following zip codes: 91310, 91321, 91350, 91351, 91354, 91355, 91380, 91381, 91282, 91383, 91384, 91385, 91386, 91387, and 91390. We’re utilize local technicians residing in Valencia and Santa Clarita. Our repair technicians are happy to give you a complete estimate on the cost of repairs and parts. We stand behind our work and offer a guarantee on everything we do for you. If you only need minor repairs to your LG washer, those jobs can be done conveniently at your home. On the rare occasion that we need to transport your LG washer to one of our repair facilities, you can rest easy knowing it will be handled with care and returned to your home working like new. If your LG washer is broken, we can fix it. 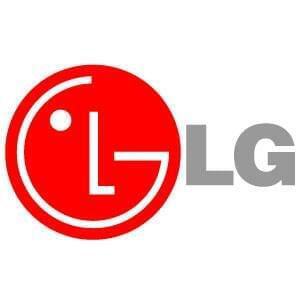 Leave your LG washer repairs to technicians you can trust! Call Service Masters Appliance today at (888) 657-1763.